I use VJournal to write notes quickly on my iPhone and it synchronized automatically to my Evernote account. It was convenient, no hassles, quick to get to vJournal app, etc. I liked it. But since the iOS 7 update, my vJournal no longer works properly. Does anybody else use vJournal and if you do, did you have this same issue? Same issue here. 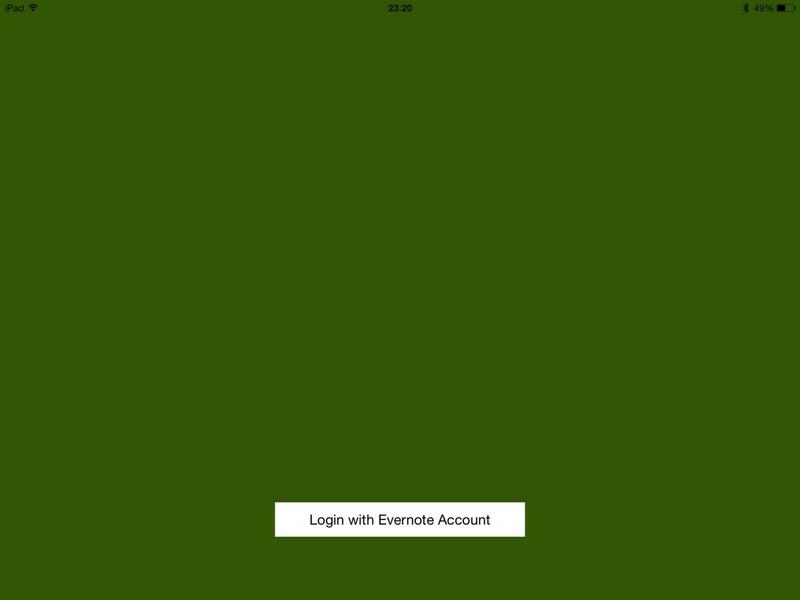 The evernote web site says vJournal has connected, but notes are not being uploaded. Same trouble! Today is my first day using vjournal. It will sync from my iPod touch (not iOS 7 yet) but not my iPad (which is using iOS 7 now). Hoping for a quick fix. I'm having the same problems. Since update to IOS 7. VJournal is refusing to synch. Now my journal entries are in limbo. This is a great adjunct to Evernote and it would be a great shame if it continues with these problems. I'm having the same issue on my ipad. There are several notes in limbo. Logging out and back in didn't have any effect. Posted a test note in case it was a fluke and now it's hung up too. Looking forward to a quick resolution. Good news, there is an update to the app and it is working again. All I get is a blank screen with a keyboard. No lines and no icons. When I type, nothing happens. I deleted the app and re downloaded. I am having exactly the same issue despite updating with the latest update. When is this going to be fixed as having an app that has been so useful in the past and is now useless is so frustrating. I have the same issue as above. I am getting ready to delete the app unless I can find out how to gain access to the app. I've been able to log in and use the program, but it randomly will not upload the entries to Evernote... Not sure why, they just seem to get stuck. Has anyone had any luck with getting them loaded later? Great that its working again but how can I recover the notes that failed to upload as I expected before you fixed the app?